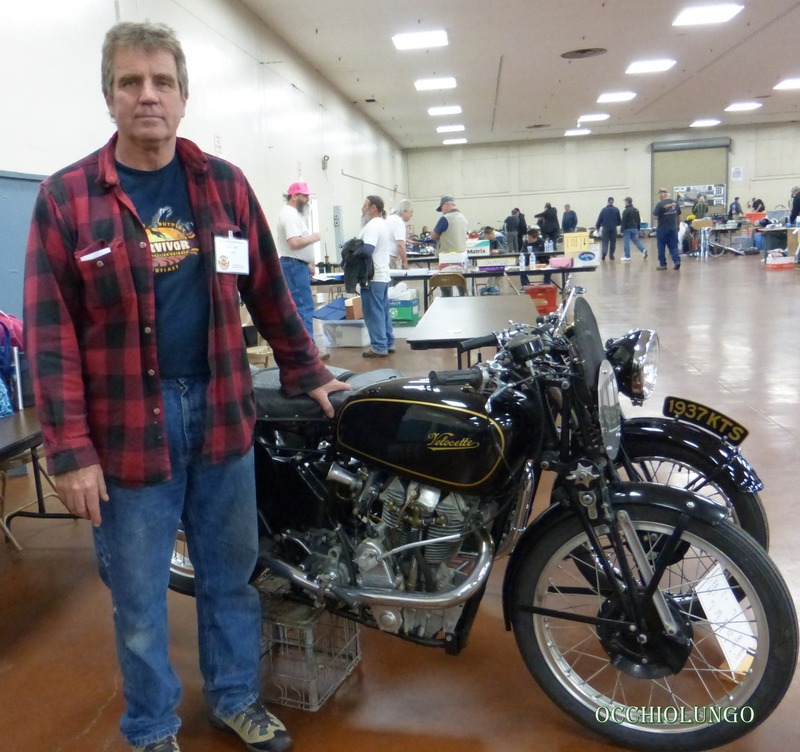 For the past 27 years the beginning of the old bike season here in Alta California has been marked by the BSA Clubman’s Show in San Jose, with the All British Ride in November closing things off for the winter slumber. 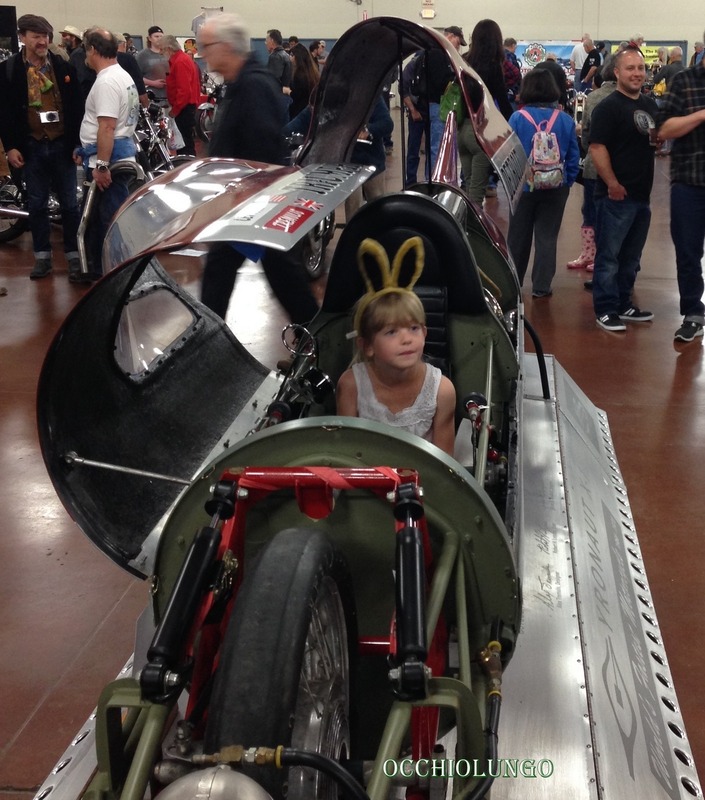 This spring we made the early trip down to the fairgrounds, arriving by 7am, which was already too late to score some of the deals in the swap meet! As typical, the best times for photos was before the doors opened at 8am, and after 3pm during clean up. The weatherman predicted heavy rain which didn’t quite materialize. But the prediction was enough that some local folks didn’t travel to the show (held indoors). 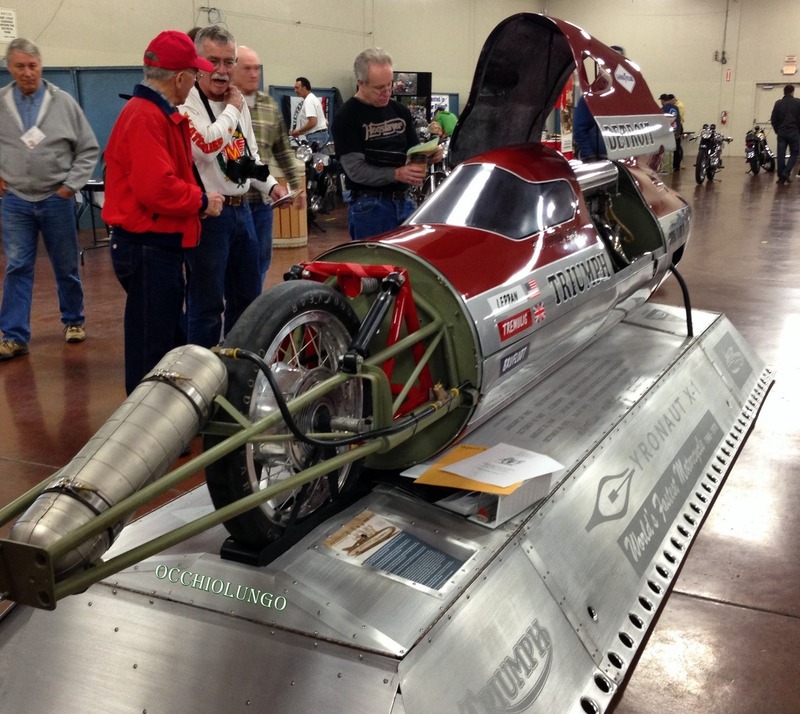 The extra space came in handy however, when we wheeled the 8.4 second, 187mph Barnjob dragracer over for some photos in front of the 264mph Gyronaut X-1 land speed bike. Here are a few pics of Clem Johnson’s Barnjob. 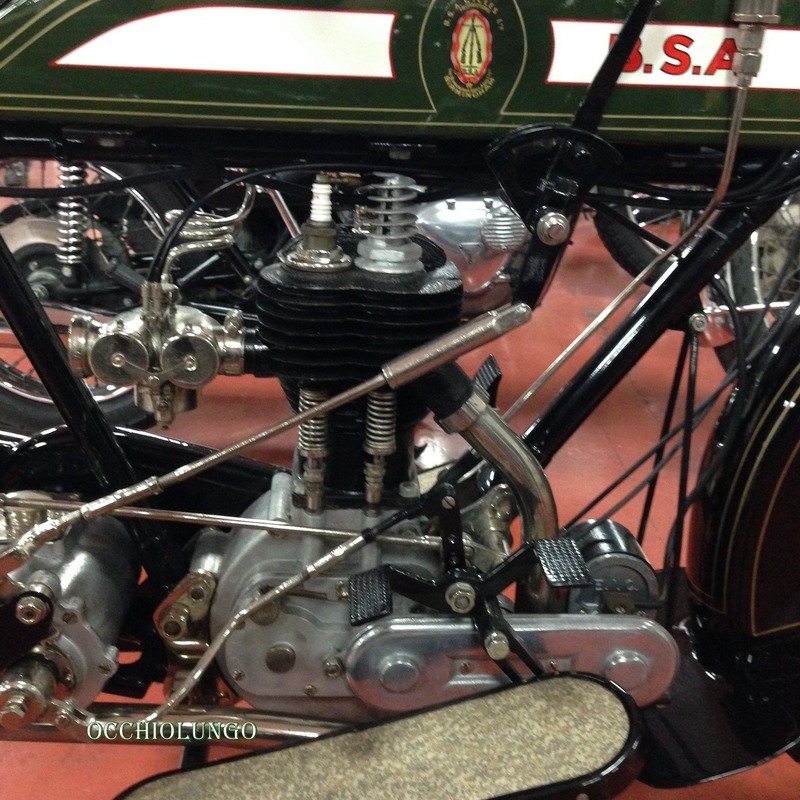 Developed by him over a few decades, there are a lot of details to see. Click to enlarge the photos. 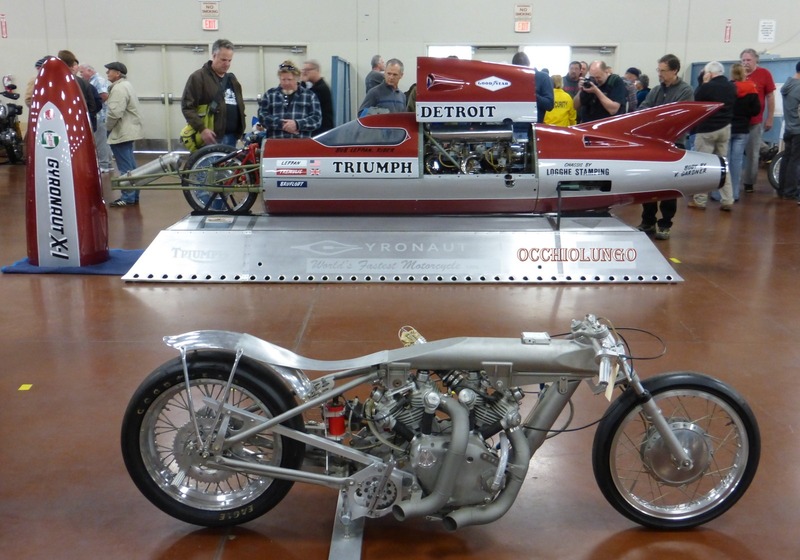 From that link: “It is generally accepted that Clem is said to be the first motorcycle drag racer over 130, 140, 150 and even 160 mph.” There is very little left that came from the Vincent factory, just the crankcases and timing covers. 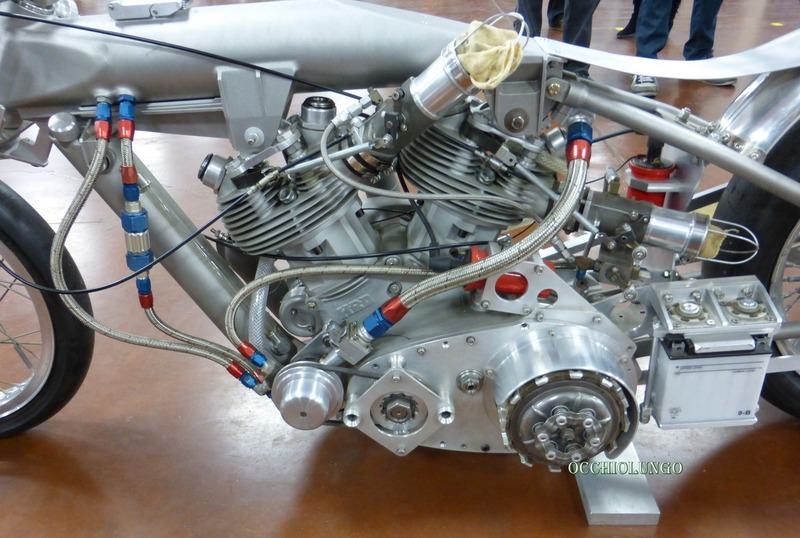 A fuel pump is belt driven from the crankshaft, and distributes fuel to both of the injectors. A/N hoses and fittings look pretty tough. Paul making faces while making photos. 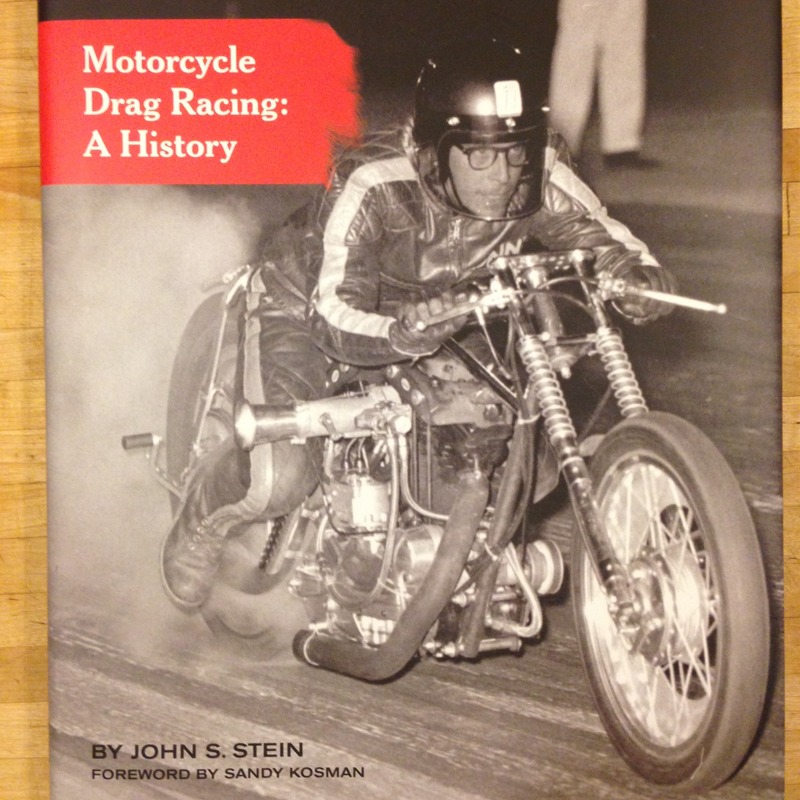 John owns the Barnjob, and also wrote this book about motorcycle drag racing. Only two copies are available via Amazon here. Get one quickly if you are a fan, we were lucky to snag one from him at the show. Clem mixing some Nitro fuel for the bike. 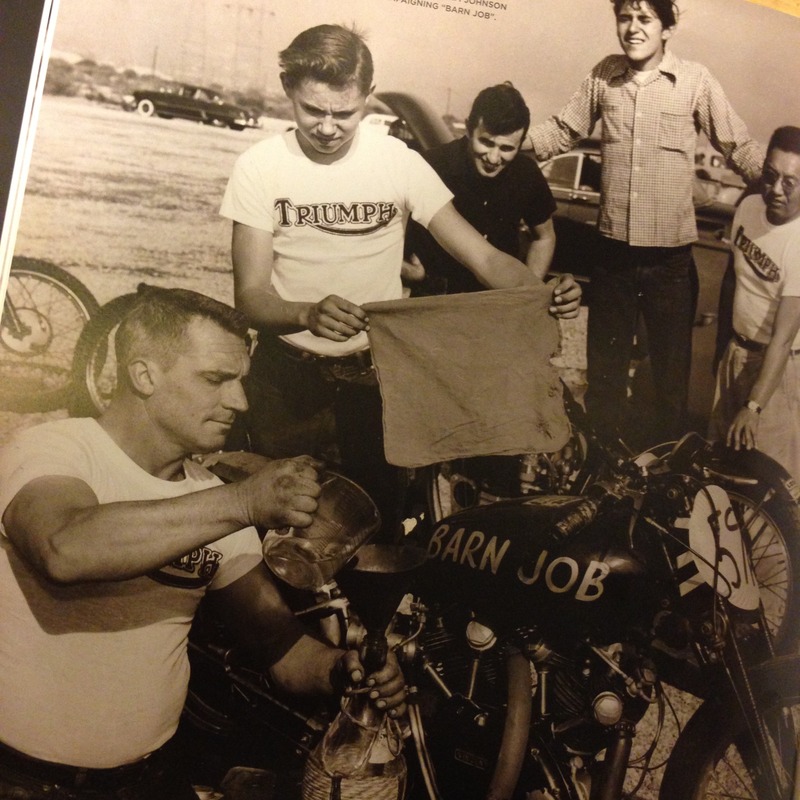 Old and new photos of Barnjob, from the John’s book. 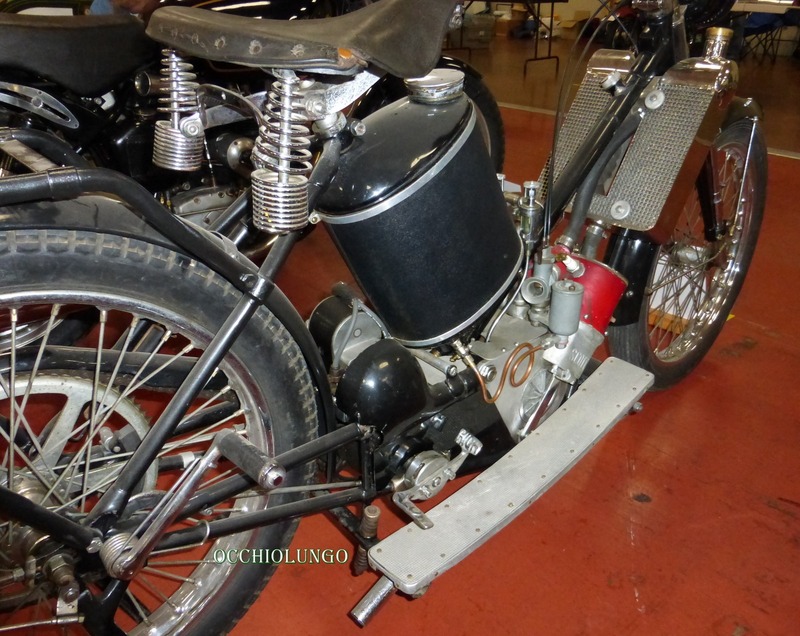 This 1921 BSA was very well received at the show. 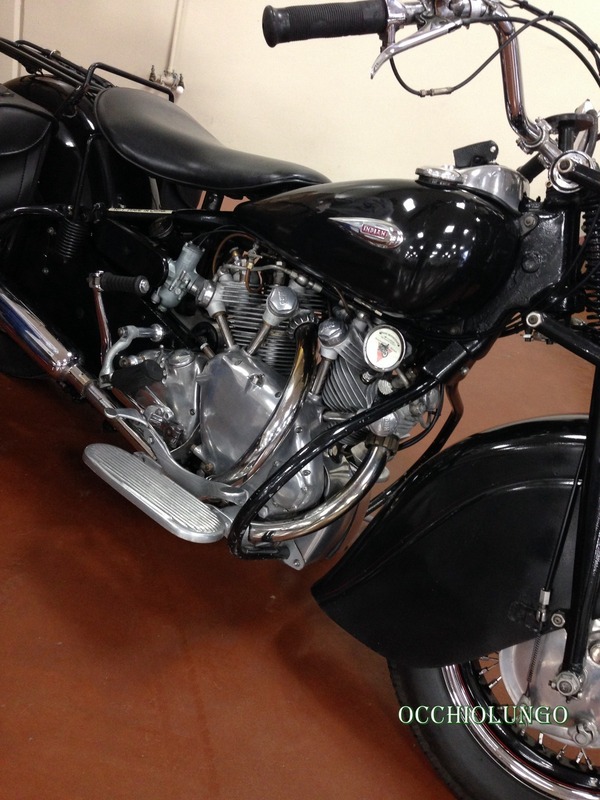 The owner had bought it partially finished at an auction, and now has it ready to ride. We had a good time discussing all the various controls and how to work the bike for starting and riding. He promised to send photos of his first ride which should occur in a week or two. Stay tuned. Another old bike returning to the road! 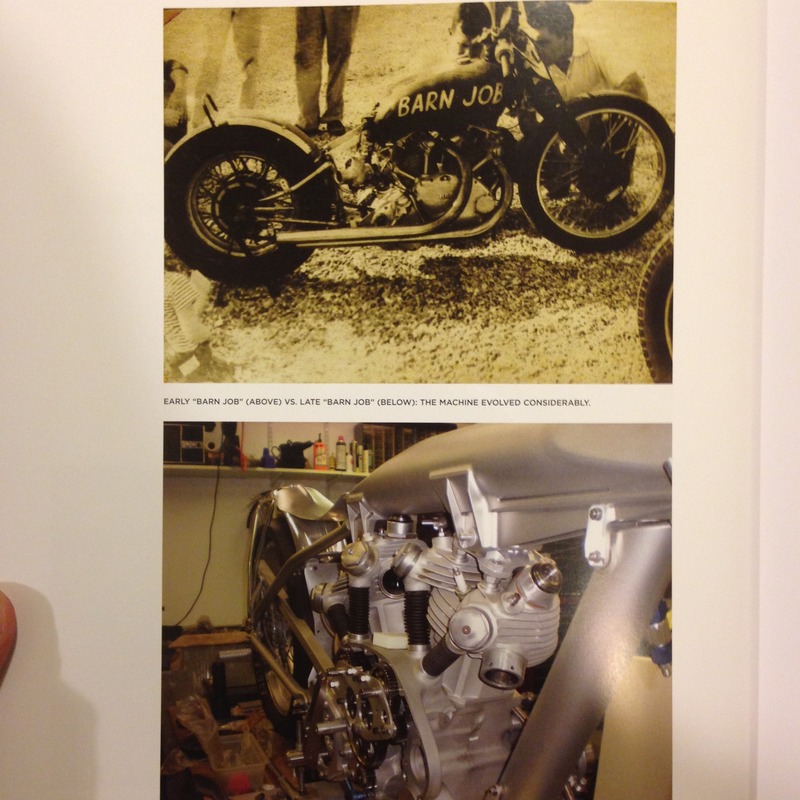 We’ve shown loads of photos of Charlie Taylor on his black Matchless Model X over the past few years. Well now he’ll have company as Fred Mork found one too! 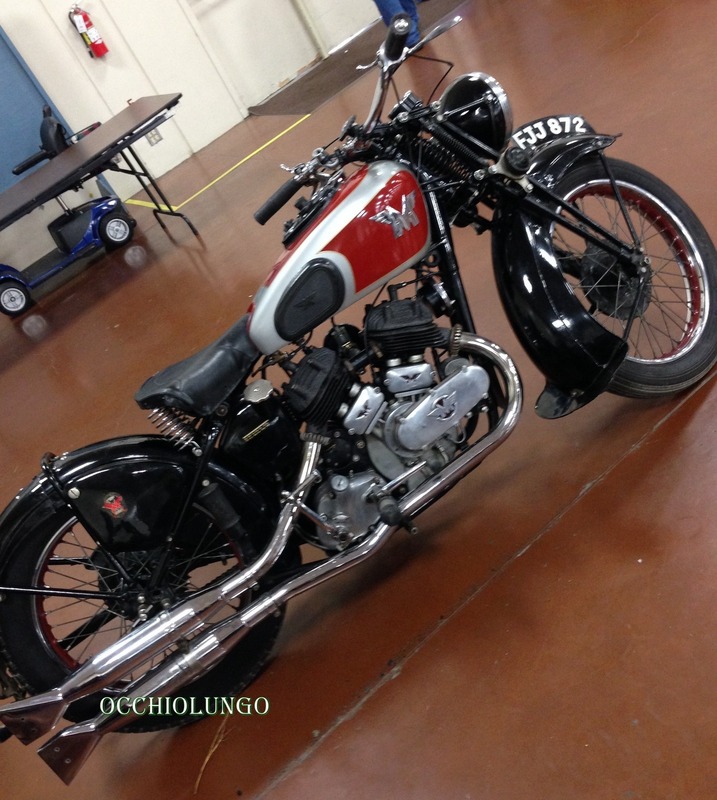 It was just registered with the DMV the day before the show, and will be another old bike on the roads this year. 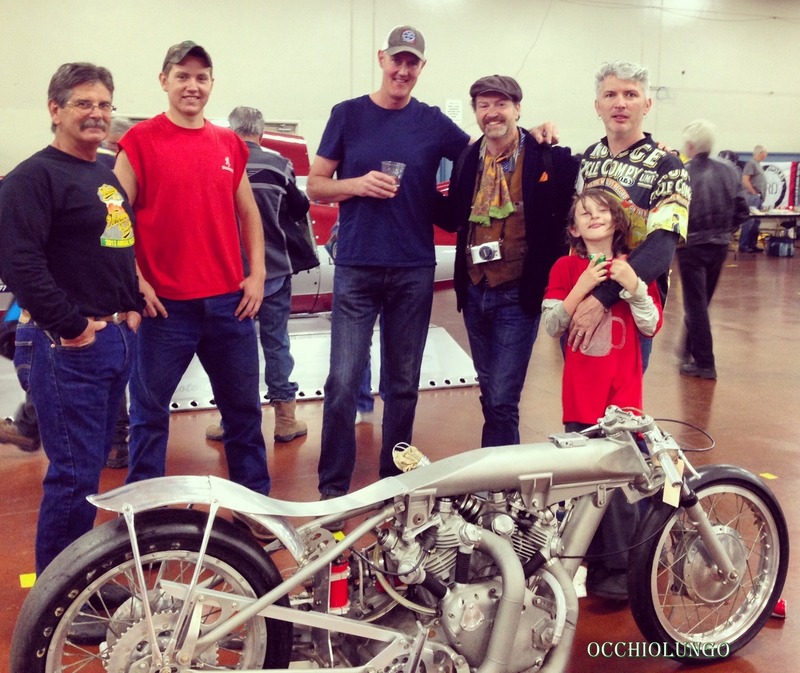 The VOCNA table had three OHC bikes on display: KSS mk2, KTT mk8 and KSS mk1. In addition, there were several Velo MACs on the floor. 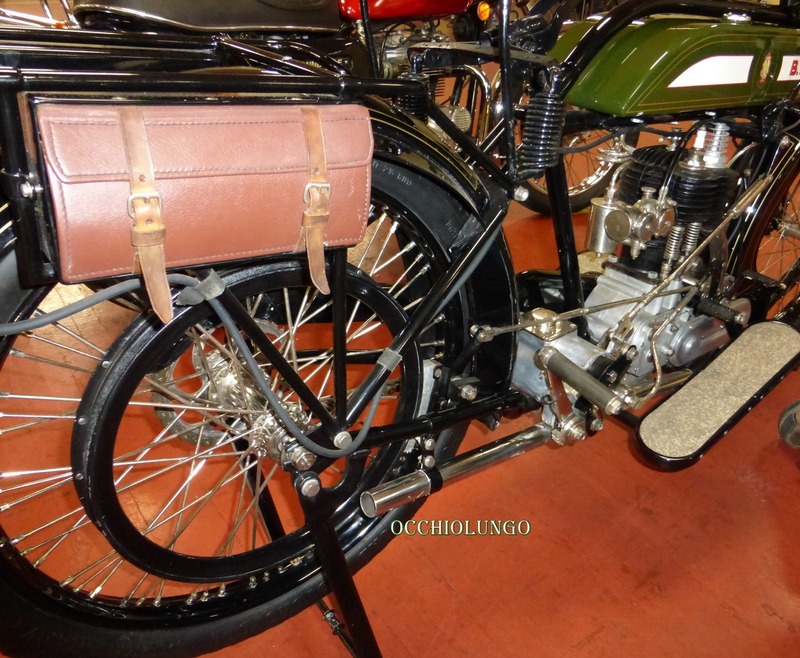 Harley Welch had his Rudge on display, and it is for sale at $8500. 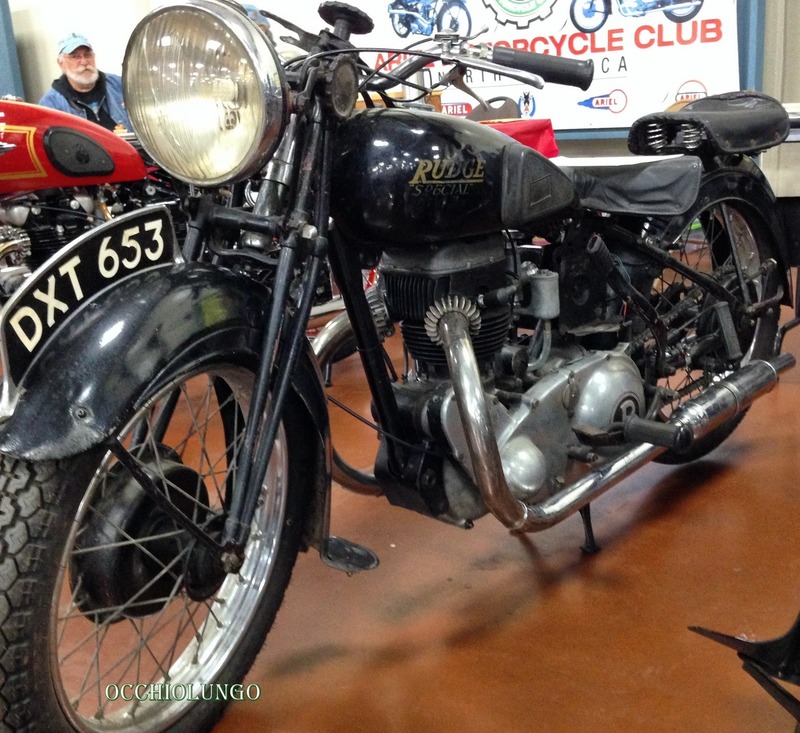 Who wants a Rudge? 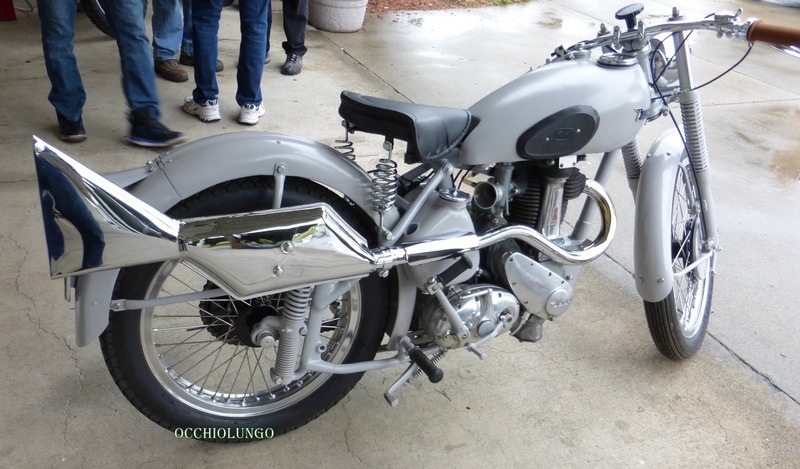 Great pre WWII bikes. If you look closely, you can see the offset spoke holes in the front rim. 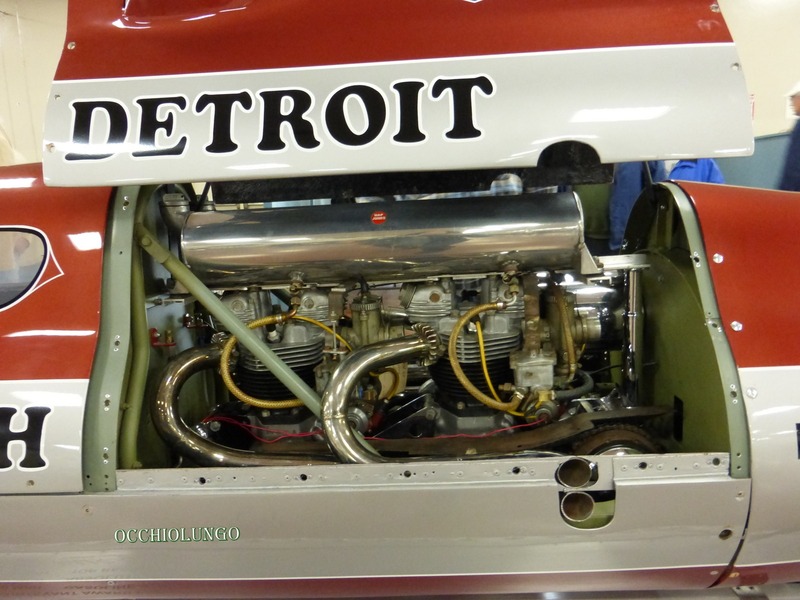 Two motors, a handful of carbs, float chambers, etc. 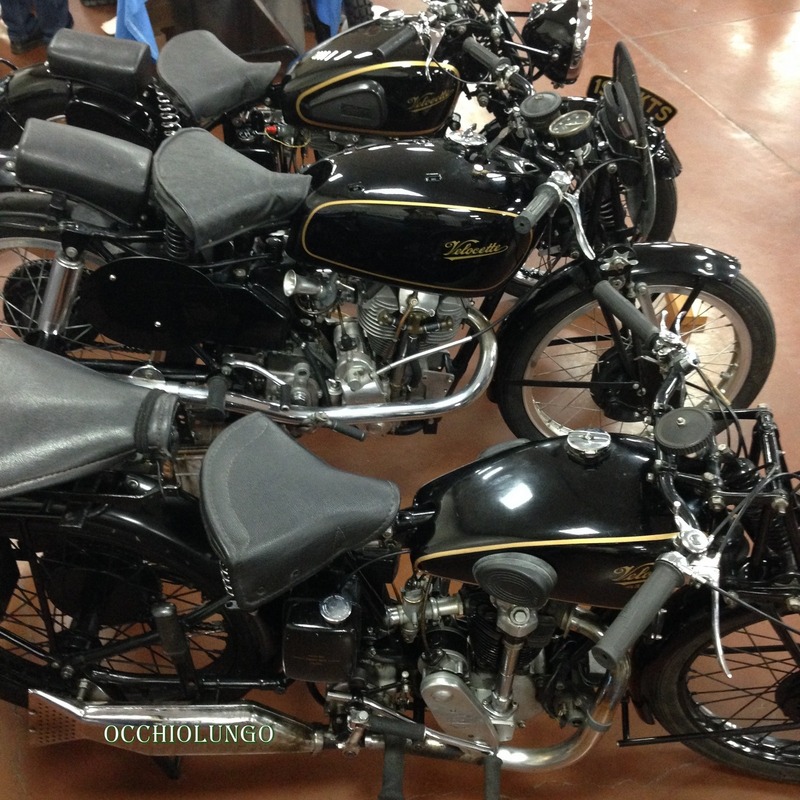 Fred brought these two Norton Manx’s. The top one is the traditional road racing model, but with a lot of black magnesium and a 6 speed gear cluster in the ‘box. 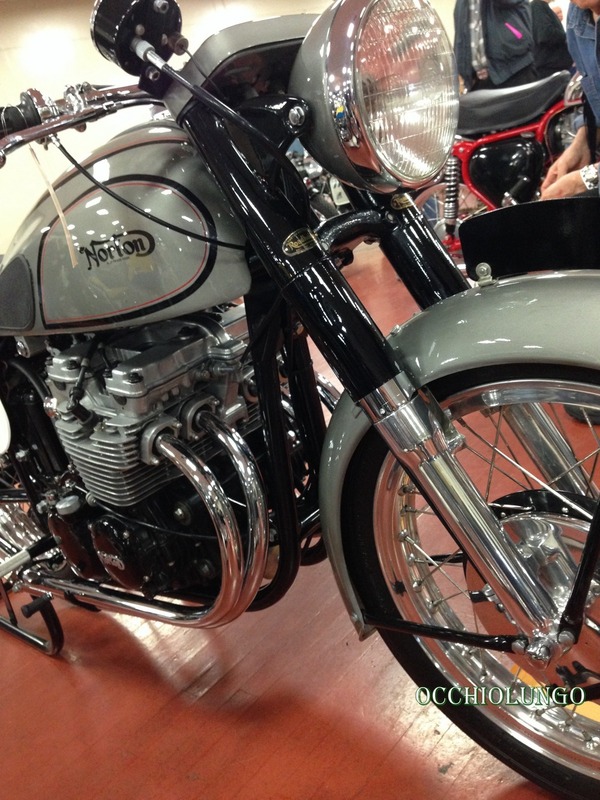 The second bike is striking for the lack of fins! They were all cut off to save weight for motorcross racing against the tide of twostrokes that changed the sport. 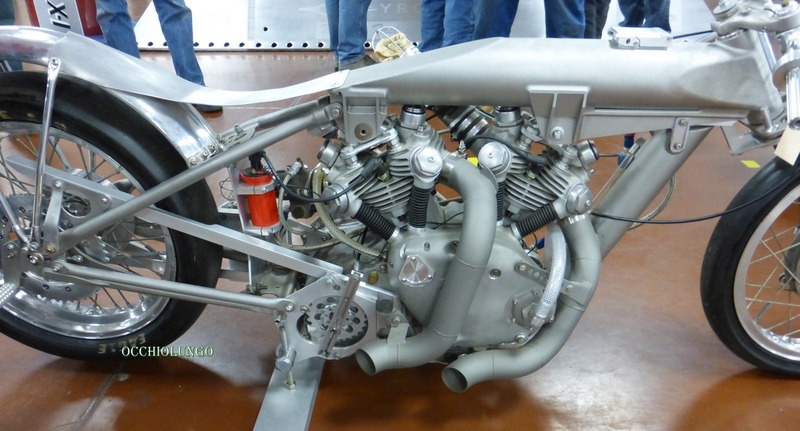 This DOHC bike was built by Les Archer with all the go-fast goodies and lightest weight possible. 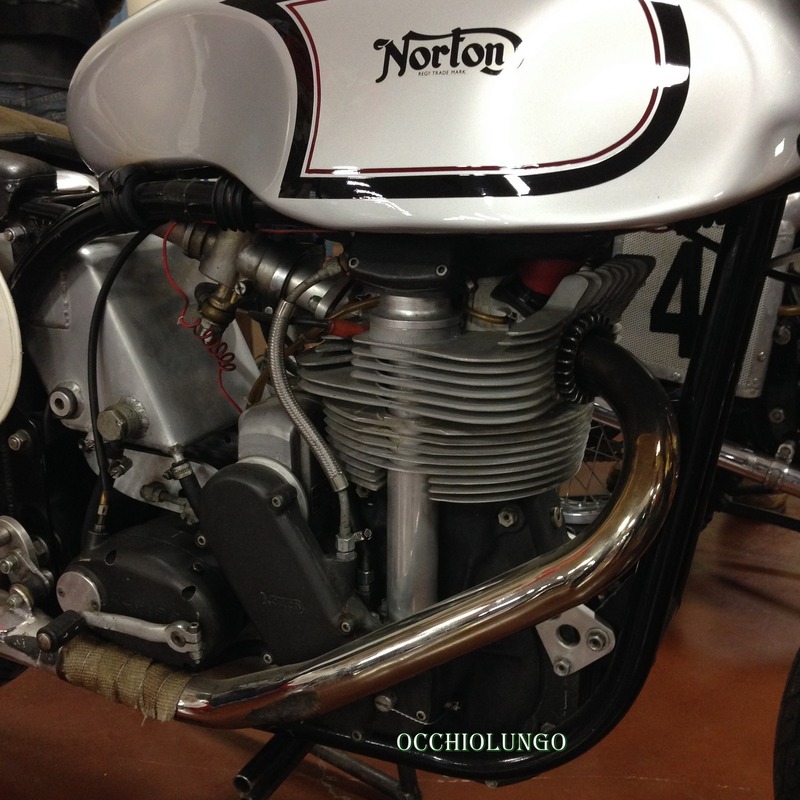 Most people have never seen the Norton 4. 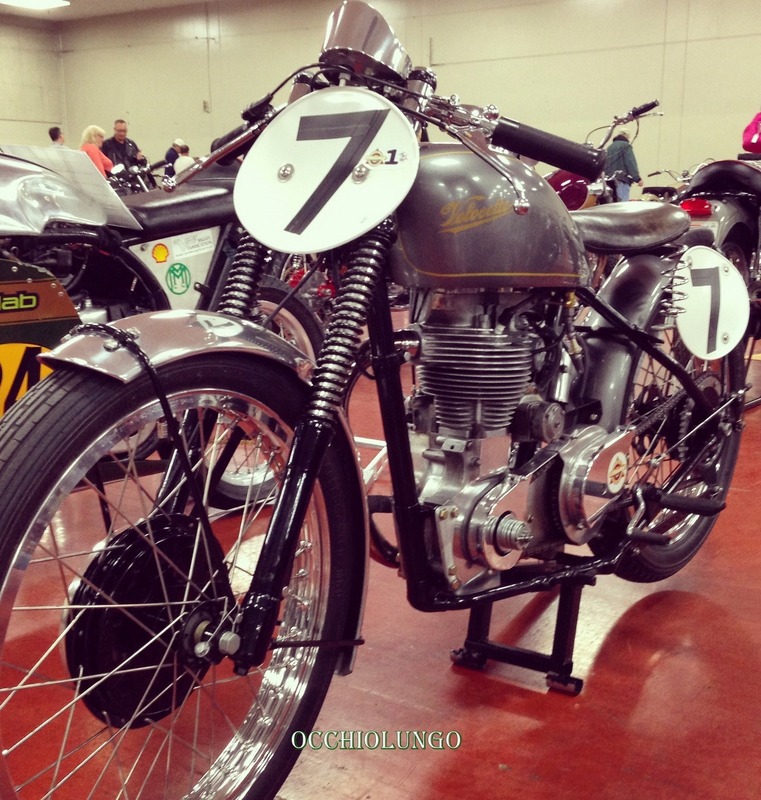 This beeza had a great Brooklands can and looked like a lot of fun. Sasha brought his old Scott all the way from Montana. Two speeds are activated by the right foot pedal, and the footstarter is mounted by the rear wheel axle. 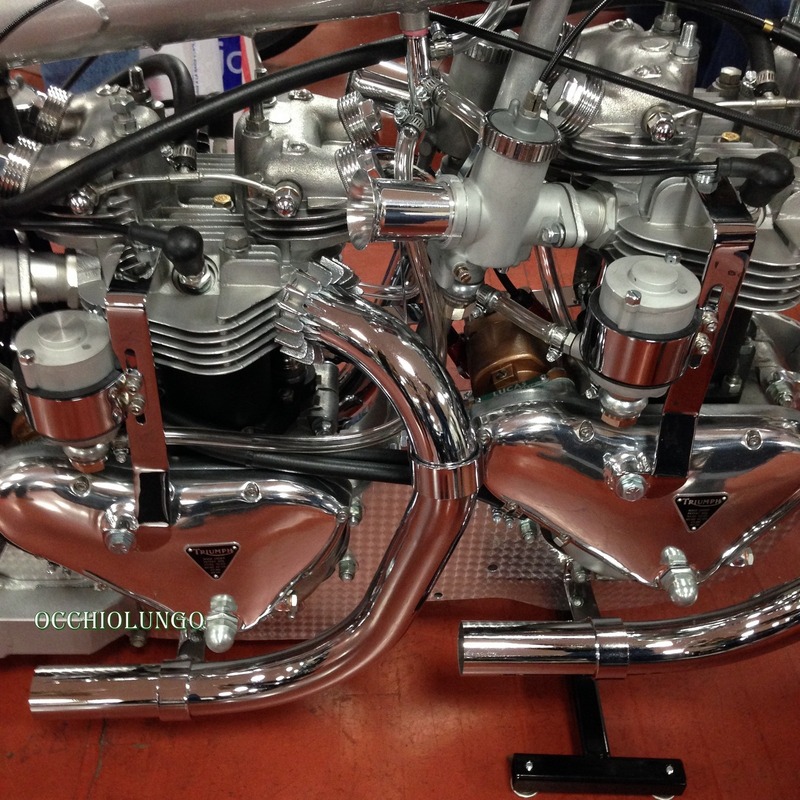 There are also twin sight glasses on the Best and Lloyd oil pump, stirrup brakes, etc. 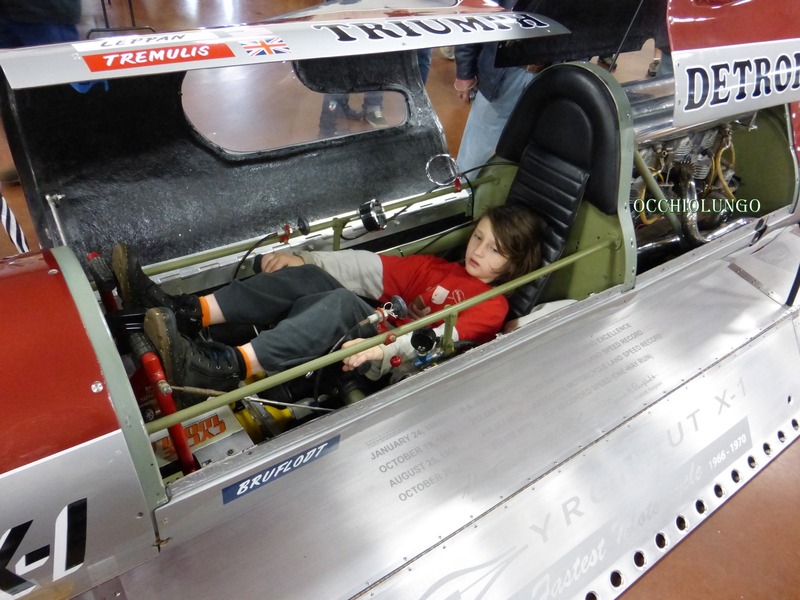 Steve and Sandra Tremulis displayed the Triumph Gyronaut X-1 in all its glory. A Triumph sprung hub now used on the front of the bike. Their daughter sat in the hot seat for a while. Atticus shows how the rider’s legs go over the handlebars, and the bike is steered with hands behind the knees! 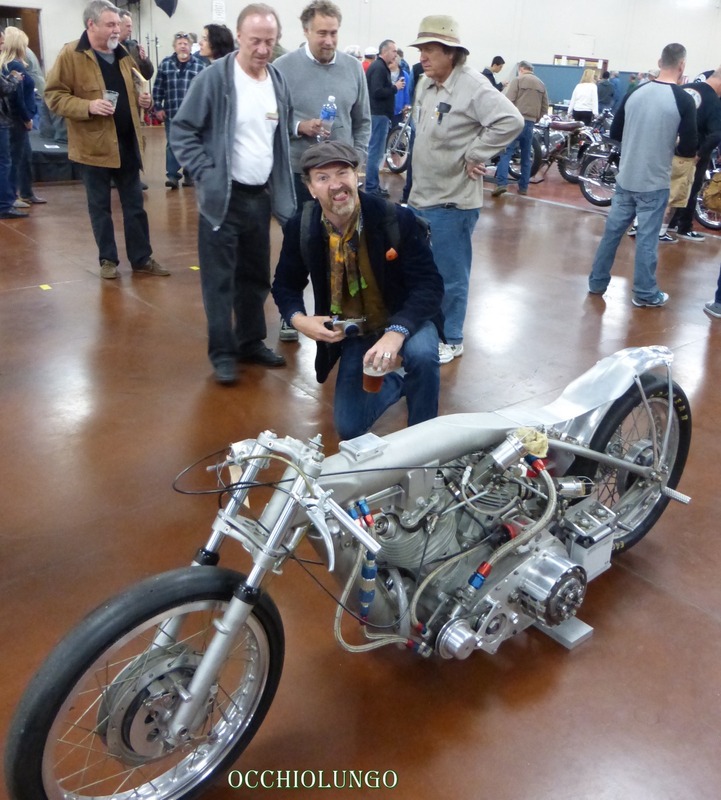 Paul Zell and his mk8 KTT. Dennis Magri brought his Vindian. 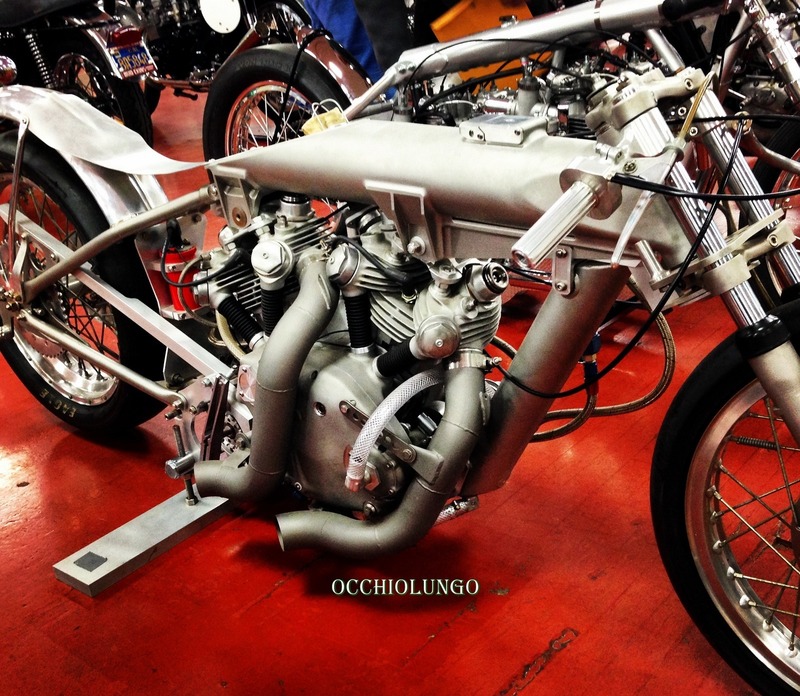 Not strictly a re-creation of the famous original, Dennis has done his own modifications to make the bike work better. Five bucks cheaper than Amazon, too. I just ordered that and my own copy of Steven Wright’s book. You’re a bad influence. Thanks Lewis for the tip Lewis! 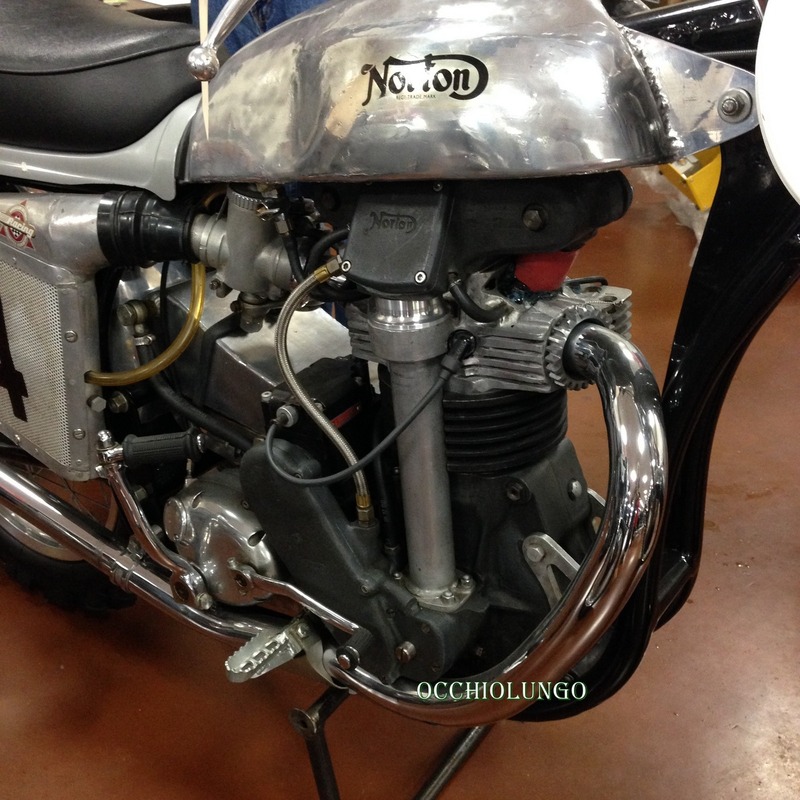 The “other” Les Archer Norton – the longstroke one on which he won the European MX title in 1956 – was in Canada for a long while, courtesy of Tom McGill, son of old J.M. 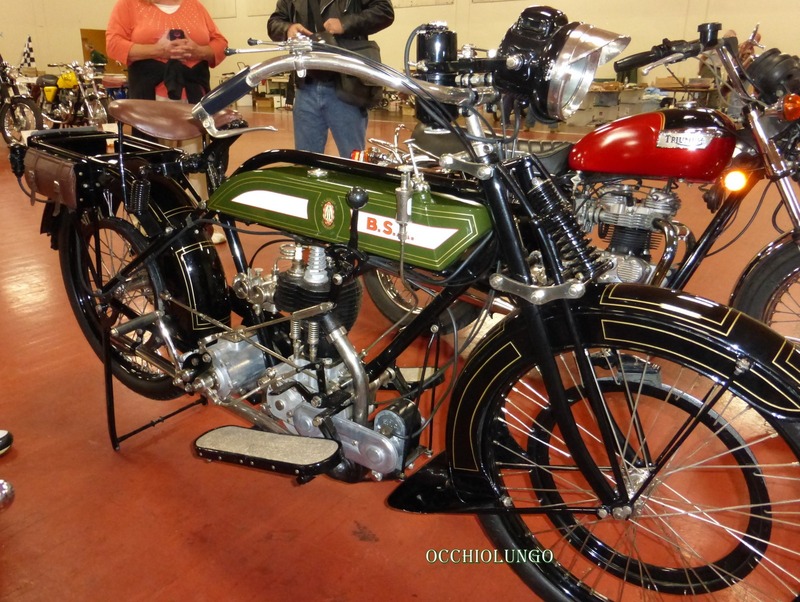 McGill who was the North American Norton Importer from 1933 until the early 1950’s. Tom acquired it for Canadian collector Ken Best who owned it and used it a couple of times a year for many years. 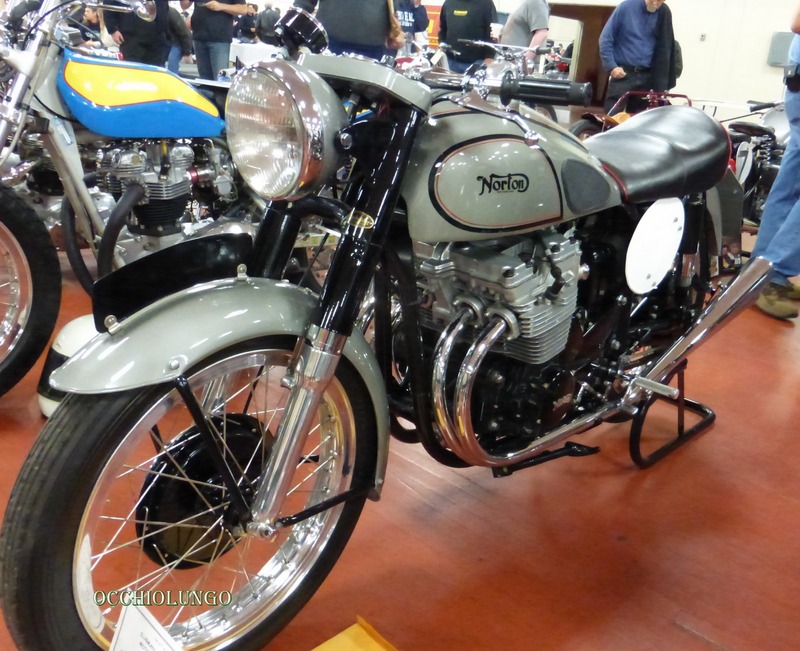 The Norton survived a serious fire which destroyed other bikes in Best’s shop since it and a road race Manx were on display in the Canadian Vintage Motorcycle Museum at the time. 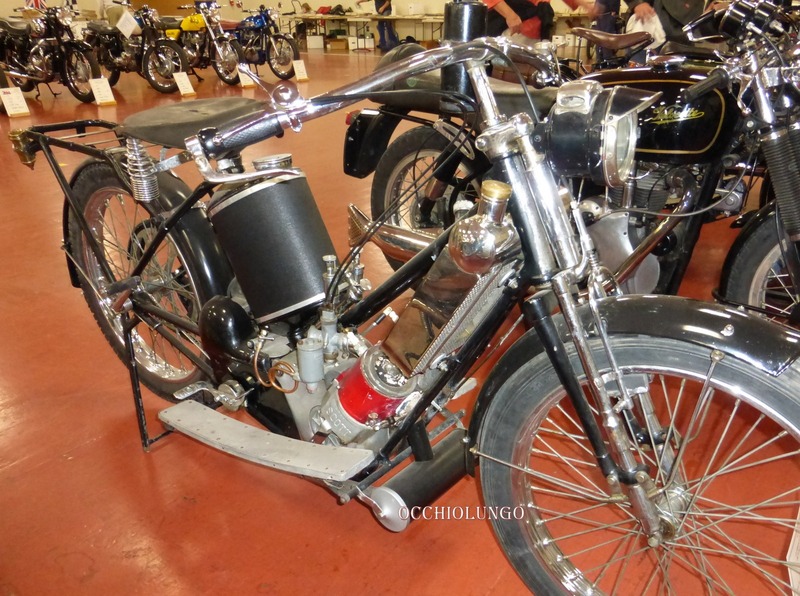 Eventually Les Archer was informed as to where his old bike was and after some time and negotiations the bike was purchased by the NMM in Birmingham (England). The longstroke was still in the shape and form that Archer last used it in around 1966, but after it was purchased by the NMM, it was “restored” to the form it was in 1956 when Les won the Euro title.